If you need a simple and useful tool to regularly update your drivers on your PC, Driver Talent is one of the options to go. Some security Programs may block it (False positive). But, Can be fixed by whitelisting it. To keep your PC drivers up to date, you have various options. But, Using a third-party driver updater is probably the best. If you are in confusion to choose among the best available tools, this Driver Talent review is for you. There are many reasons why you need a third-party driver updater like Driver Talent. To avoid various driver related problems like BSODs, you should keep them up to date. Of course, You can do it manually. But, That is time-consuming. In this case, A third-party tool can help you. Driver Talent (formerly known as DriveTheLife) as is a tool by OSTotoCo., Ltd. It is one of the excellent driver updater tools available for you. 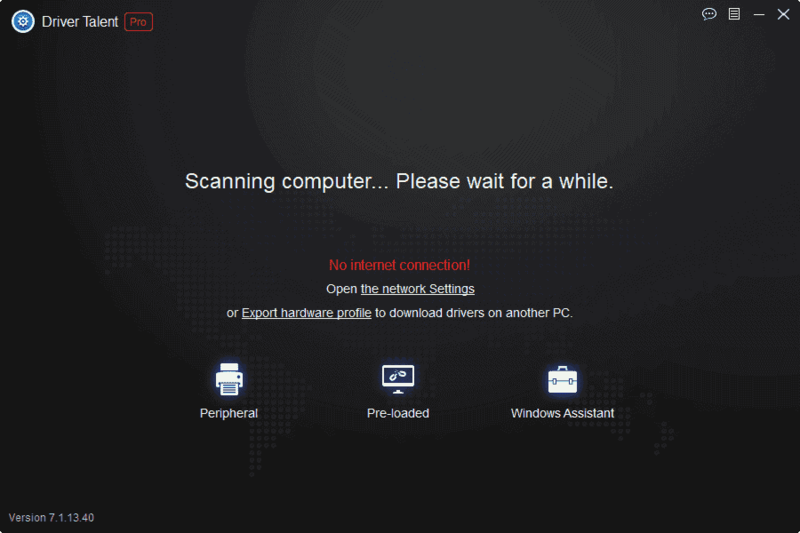 It can scan and update drivers automatically. So, You won’t have to worry about drivers being outdated. The Driver Talent has some cool features you may like. It almost has everything you need. Here is a list of its features. These are the most attractive and significant features. These features can help you in many ways. It is definitely the core feature of all similar programs. It can scan automatically and find outdated and problematic drivers on your PC. Then, It can download the appropriate driver files and install. But, You also have an option to choose which version to install. It is something that most driver updates don’t offer. The rescue center feature on Driver Talent includes backup and restore function. It can take driver backup automatically and restore when needed. Sometimes, Latest driver software can cause a problem on your PC. In this case, You can easily roll-back to the previous version. It is an essential feature indeed. If you want to uninstall any drivers completely, it has this feature. Driver Talent also can clean the left-overs. So, You have the option to entirely remove a driver of recently removed hardware on your PC. It is something that is a well-desired feature. While many other similar programs are missing this feature, Driver Talent has it. You can download the driver files and save on your hard disk. It allows you to install them later on your PC or another computer. This feature is actually handy in difficult situations. If a computer doesn’t have any network drivers installed and is not connected to the internet, you can use Driver Talent to create a hardware profile. Then, Use the INF file in another PC with Driver Talent. It will download all appropriate drivers so that you can use them in your another computer. 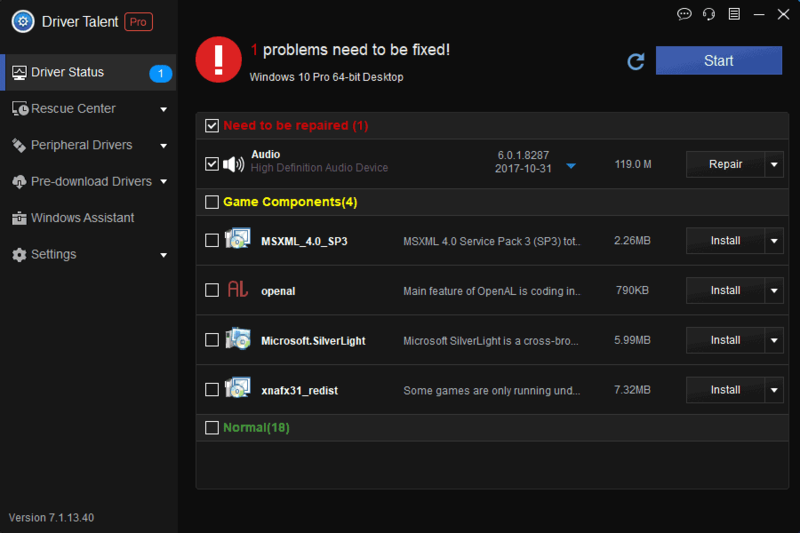 Else, This software can download and update game components. If you are a die-hard gamer, it is a useful feature for you. The clean interface is more appealing to any user. It has a very simple, clean and modern outlook. Anyone can use it easily. I don’t see any problem with its interface. The UI is dark. But, There is no way to choose between dark and light mode. It is not a major thing because Almost everyone prefers dark mode. I got a license to use test this software. It is a better one. Everything worked perfectly. I found several outdated drivers on my PC and also updated them. I found that I can easily choose from the available driver versions. It is an attractive feature to me. I don’t see any problem in its performance except for one thing. In some forums, I found some users also faced similar issues. Your antivirus or firewall may sometimes, block Driver Talent. It is a false positive. In past years, I have seen similar issues with some other similar programs. It is not a rare case for driver updating tools. But, The developer should really look into this. I have faced issue with BitDefender Total Security. But, I whitelisted it and then used after that encountered no problem. But, An excellent thing is you can set your download speed from settings. Also, You can use a custom proxy server to download drivers. My overall experience was great except the antivirus things. The main downside of this software is the issue with some security programs that I have already described. Another thing you may find is, it doesn’t have the option to manual schedule functionality for auto scan. The Driver Talent has an attractive price model. You won’t find it in most other similar software. As a Tech Classy audience, You can now get a lifetime license for one PC at just $13.56. The regular price is $26.95. Lifetime license for 3 PC at a discounted price is $26.95 (Regular 39.95). For 5 PCs, it is just $34.95 while the regular price is $59.95. The price is definitely attractive because you won’t have to pay yearly. Else, It has a free version which is not recommended. Because That only can identify outdated drivers not update. The driver talent is a no-brainer tool to update PC drivers more conveniently. You can use this program to keep drivers up to date. I hope this Driver talent review will help you to make your decision. It has a free trial version. So, you can try it before purchasing the pro version. The decision is yours. I hope you will like it as it has some unique features.